Max sq ft of 600 sq ft. Stairs additional charge. Not valid with any other offers. Minimum charge may apply. Hot Carbonated Extraction Cleaning Method. Expires 05/05/19 Call Moen Chem-Dry at (843) 873-5288. Max sq ft of 1000 sq ft. Stairs additional charge. Not valid with any other offers. Minimum charge may apply. Hot Carbonated Extraction Cleaning Method. Expires 05/05/19. Call Moen Chem-Dry at (843) 873-5288. Sofas over 6 ft additional charges apply. Sectionals not included. Not valid w other offers. Minimum charge may apply. Expires 05/05/19. Call Moen Chem-Dry at (843) 873-5288. Not valid with any other offers. Other minimum charge may apply. Expires 05/05/19. 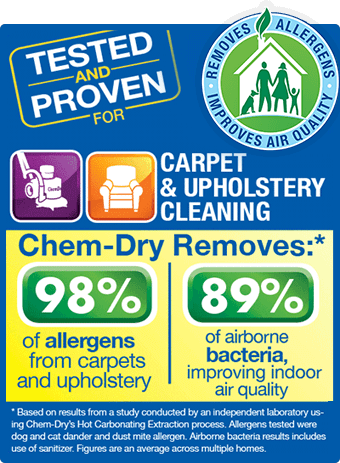 Call Moen Chem-Dry at (843) 873-5288. Don't be fooled by imposters! There is only one MOEN Chem-Dry! We are independantly owned and family operated. 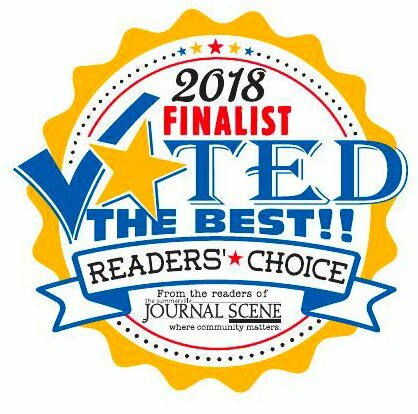 Our customers have spoken and chose us as a finalist in the 2018 Charleston Choice Awards. MOEN offers a quality cleaning and customer service & we warranty our services for 30 days! Check out our online reviews and call 843-873-5288 and ask for Paul or Jana Moen. We would love to show you the difference MOEN can make! 2018 Finalist Voted The Best. From the readers of Journal Scene. Moen Chem-Dry has been awarded entry into Chem-Dry's Circle of Excellence, in recognition for maintaining the highest standards in customer satisfaction and implementation of best cleaning practices. Moen Chem-Dry | Independently owned and operated.